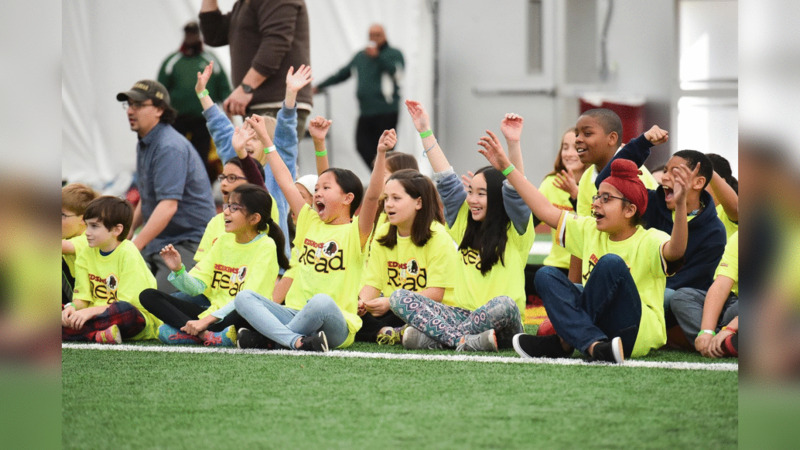 150 fourth and fifth-grade students from across the Washington, D.C., area came out to the Inova Sports Performance Center at Redskins Park on March 2, 2017, as the Washington Redskins Charitable Foundation hosted the Redskins Read Across America Day Celebration inside the team’s indoor practice facility. The event was coordinated in conjunction with Read Across America Day and Dr. Seuss’s birthday, on March 2. In honor of Read Across America Day (and Dr. Seuss's birthday), five schools currently participating in the 2016 - 2017 Redskins Read Program were invited to Redskins Park to celebrate reading! The students - who represented Saratoga Elementary School, Dominion Trail Elementary School, Clopper Mill Elementary School, Patterson Elementary School and Rosa Parks Elementary School – rotated through five different stations, all themed around a different Dr. Seuss story. The stations had a wide range of activities including a Cat in the Hat obstacle course, a Green Eggs and Ham inspired nutrition relay and Oh the Places You’ll Go! Story time with the First Ladies of Football, Tasha and Taryn. Each student also left with a brand new book, courtesy of the Redskins Charitable Foundation. Other Redskins VIPs in attendance included alumni Brian Mitchell and Eddie Mason, who helped facilitate a few activity stations. Mason says the “ultimate end goal” with events like this is to help the students learn the value of a proper education. Mitchell was in charge of The Cat in the Hat” station, which featured an obstacle/agility course. Even though everyone was busy having fun at each of the stations, the Redskins celebrities in attendance made sure to stress the importance of hitting the books and continuing to better themselves to each of the students.  “If you can read, you can do anything you want to do,” Mitchell said.